A great deal of work in construction does not make a difference in the overall look of the building but is very important nevertheless. That kind of work has been happening this week at our house – crucial but it will very soon be covered up and rarely seen again. Without a public sewer system in the area, our septic system is very important. It is just to the east of the house. 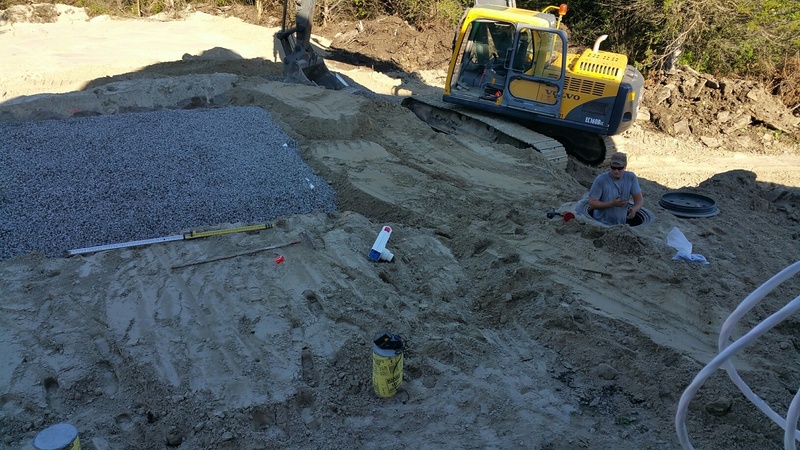 The worker is standing in the actual septic tank and the septic field is the gravelled area to the left. Once the County inspector has seen and approved the work, it will all be covered up. 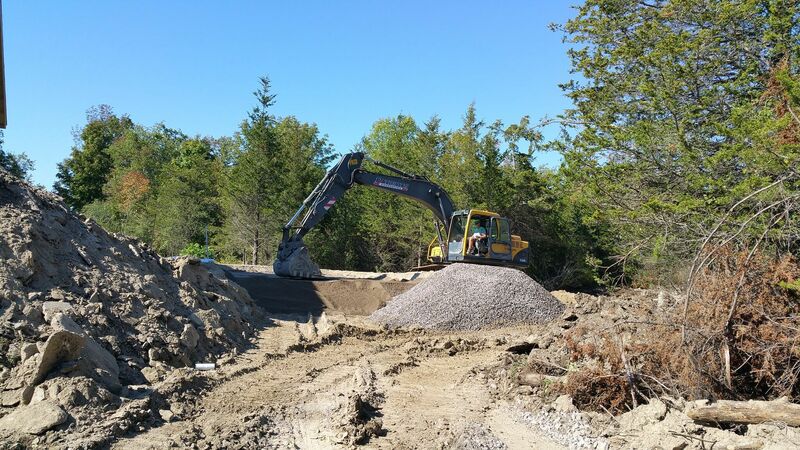 About 10 dump truck loads of sand, plus some gravel, were brought to the site for the septic system. Fortunately, most of it came from a pit just a few kilometres away. The insulation team came in shortly after the electrical, plumbing and heating/cooling trades finished their first round of work. Given our cold winters and warm summers, another necessity which will soon be covered up. This is the living room. 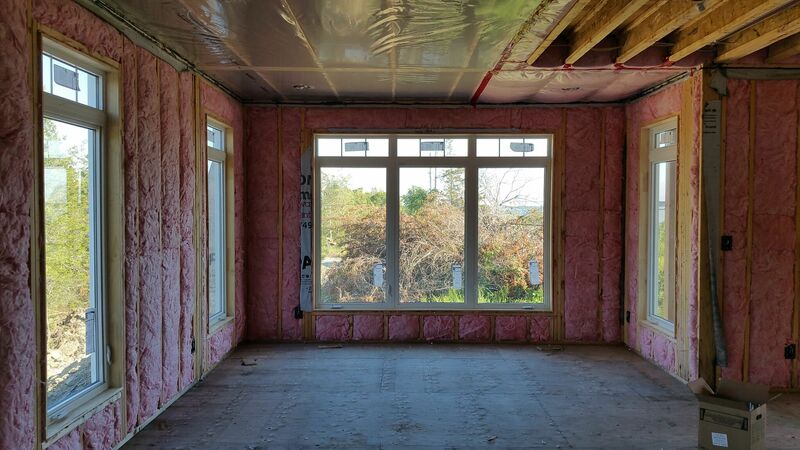 Insulation in the kitchen. 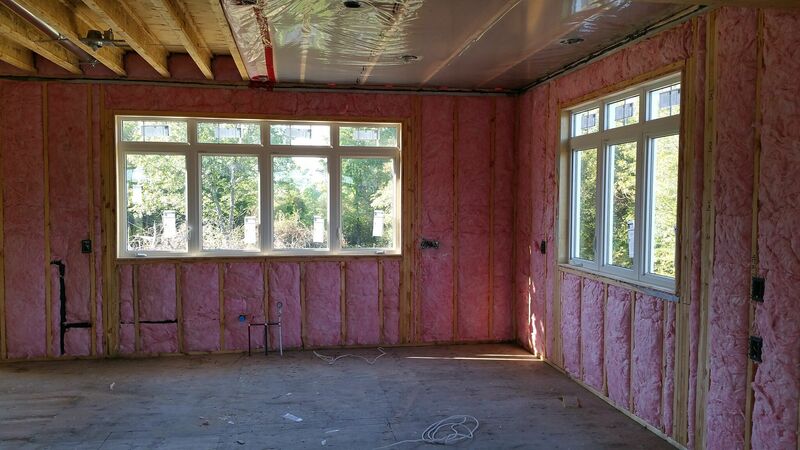 There is no insulation and vapour barrier on the left side of the kitchen ceiling because the upstairs bedroom area is above that part of the house. The same is true of the right hand side of the living room picture (above).